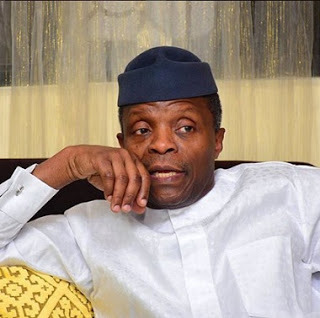 Former Aviation Minister, Femi Fani-Kayode has lambasted Acting President Yemi Osinbajo. Fani-Kayode said Osinbajo is receiving instructions from the “cabal” in the presidency. He was reacting to comment by Osinbajo that those demanding restructuring of Nigeria only wanted appointment. He stated that the Acting President should not have uttered such response to genuine clamour by eminent Nigerians. This is contained in snippets of his new article sent to DAILY POST Thursday morning. "From the outset and as far back as the early 1940’s the Yoruba particularly, and indeed the people of the south generally, have wanted and fought for nothing but a restructured Nigeria where power is devolved from the center and now you insult those that support it and pooh pooh the whole idea. "As a Christian you have joined forces with those that hate your faith and that have sought to denigrate it and wipe it off the face of the earth. "Those that are behind this hideous and satanic agenda are not even real or true Muslims but rather they are Islamic fundamentalists and believers in radical and political islam. "They call their fellow Muslims who do not share their radical and bigoted views “infidels” simply because they believe that religion is a personal issue which must never be brought into or used in partisan politics and simply because they are prepared to support a non-Muslim for the Presidency or indeed any other political office. ”Your new found friends and those you front for hate Christians and they hate real Muslims. Yet you do not care about this deviant disposition as long as you are given the opportunity by them to remain in office even though they treat you like filth and they regard you as nothing more than a mere quisling, puppet and puffed up, highly celebrated “national co-ordinator”.